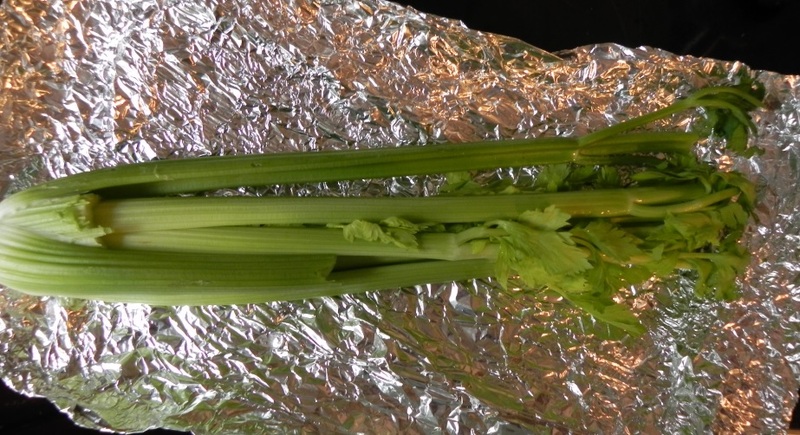 Wrapping your celery in aluminum foil keeps it fresh and crispy for a long time. If you’re like me, cooking and other things that happen in a kitchen often turn into material for blog posts. And not in a good way. So when I find something that works, I like to share it. Case in point? Storing your celery. I can’t tell you how many times I’m making chicken salad or some other quick meal and I reach into the fridge for some celery, and all I find are soft, rubbery stalks of blech. I could have bought celery when I was just at the store, but I knew I had just bought celery the week before and only used one stalk. Theoretically, I should have lots of fresh celery in the fridge. But no. So now I can have chicken salad with either no celery or rubber celery. Neither are very appetizing. Happened to you? 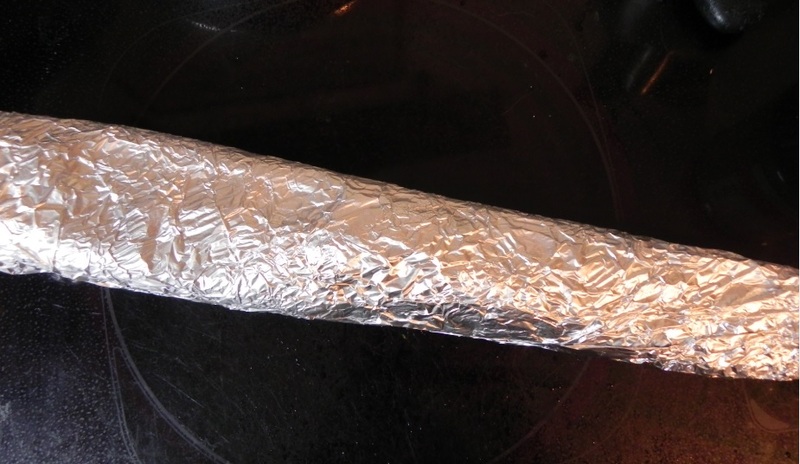 Well, I have a solution: aluminum foil. Just wrap the celery completely in foil, and it’ll stay fresh for a long time. Yup. Just wrap the celery in aluminum foil. Get it all closed in, ends and all, and it’ll stay fresh in the fridge for … well, a really long time. Long enough that someone like me, who is useless in the kitchen and uses celery really quite sparingly, always has fresh, crunchy celery on hand. What, you thought that everything I was going to share in my “50 thoughts on turning 50” was going to be deep and philosophical? This was 1/2 a pita destined to meet some Wild Blueberry jam. Then it became a pita inferno. I’ve had a rough week when it comes to machines. Last week, my electric tea kettle went kaput. Fortunately, it was under warranty so it was replaced. But given how much tea I drink every day, just those few hours without it was torture. The dogmobile had its own share of problems this week … to the tune of about $1200. Don’t get me started. I don’t know if the actual toaster oven caught fire or if there was something on the bottom of the oven that caught fire. But I was in the dining room when I smelled something burning and when I went into the kitchen I found smoke billowing – and I mean billowing – out of the toaster oven. There were flames and everything. I like baking. I’m just not that good at it. In fact, I really can’t cook at all. I try, I really do. But inevitably something happens that screws up the whole dish. Martha Stewart, I am definitely not. Today I was making pies for Thanksgiving. 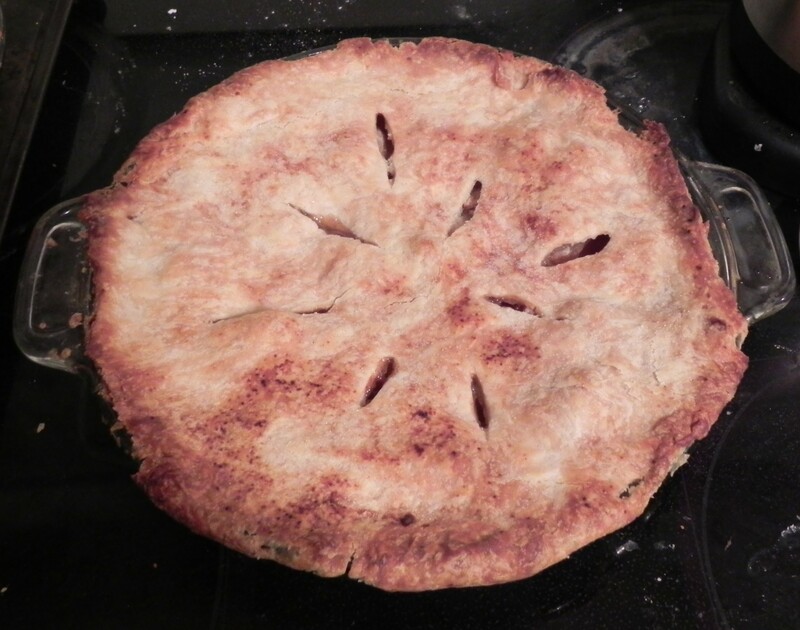 Since I’ve been having such good luck with my pie crusts, I decided to make crust from scratch – rather than buying the Pillsbury already-made crust that you just unroll. I also decided to use canned organic pumpkin. For the apple pie, I used organic cameo apples. I thought it would be nice to use some higher quality ingredients. Big plans for the holiday dessert. Of course, things never turn out the way I plan. 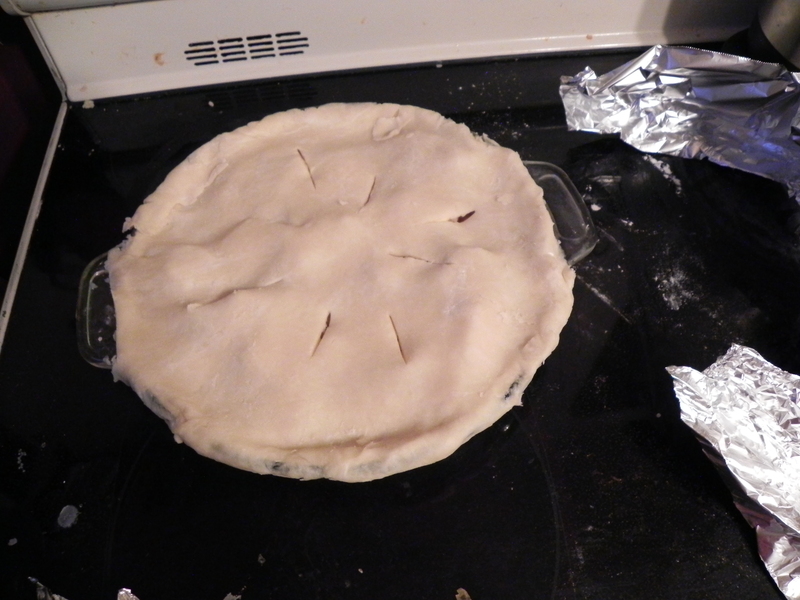 Problem #1: I just can’t roll out a pie crust big enough for a big pie. I’m good with the tart sized dishes. So I ended up having to patch together the crust. The edges are all uneven. I can't roll out a pie crust to save my life. So I just patch the dough together and hope for the best. 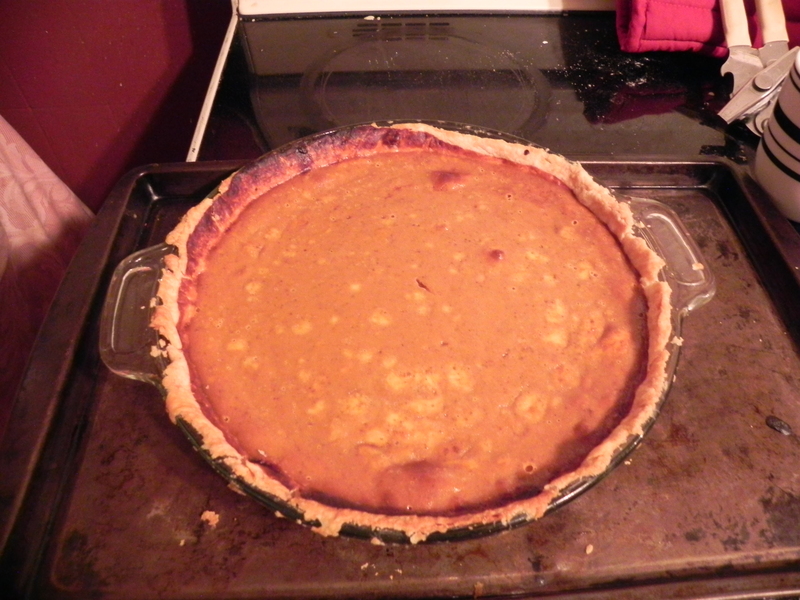 Problem #2: I followed the directions on the pumpkin pie can, but for some reason the filling didn’t seem right. The eggs were a little bit … unbeaten. The directions called for me to add “lightly beaten” eggs and mix just until the ingredients were mixed. After it was baked, it seemed a bit spotty. Thank goodness for whipped cream! I think those spots are from where the eggs weren't totally mixed. Problem #3: While I was mixing the pumpkin pie filling, Bandit licked both empty pie shells. Problem #4: After peeling the apples, I realized that I was a little short. I peeled and sliced 5 apples. I needed 6. I bought six. But I ate one yesterday. Damn. Problem #5: After baking the pumpkin pie, I forgot to change the temperature on the oven from 350 degrees to 425 degrees for the apple pie. 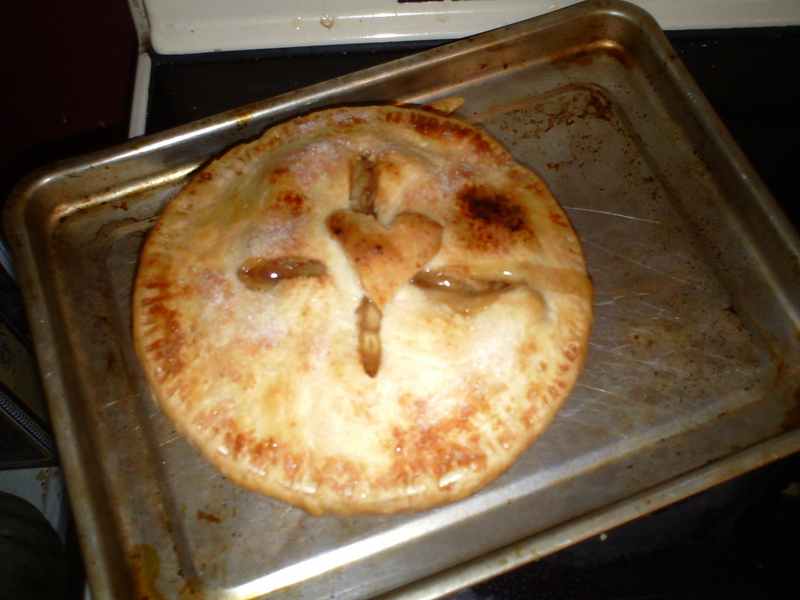 So after the required 40 minutes of baking, said apple pie was raw. 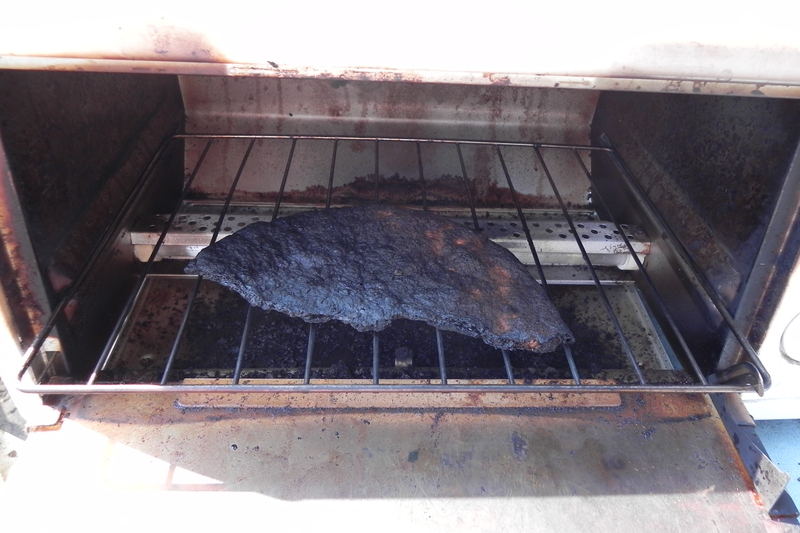 I changed the temp and baked for another 1/2 hour. Let's hope the apple pie tastes better than it looks! Hopefully, the pies taste better than they look. At least Bandit liked the pie crust. 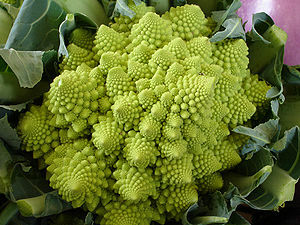 Isn't Romanesco the most interesting vegetable? Looks like something from outer space. But it's not. It's Italian. After yesterday’s trip to the natural food store, I was feeling adventurous when I went to Wegmans to get something for dinner tonight. The plan was to make hamburgers and I needed buns. But one of my favorite Wegmans’ employees, Al Springer, was working in the produce section so I changed my mind. It started when a little girl picked up a strange looking vegetable and asked her mom what it was. Al explained that it’s Romanesco, an Italian cauliflower. Al’s a wealth of information, so of course I asked for more information. Not only does he know all about food, he’s got great tips and recipes that even an idiot like me can prepare. I asked if it was a novelty vegetable, something designed for the holidays, seeing as how it looked like little Christmas trees. In fact, if you break it apart instead of cutting it with a knife, the flourettes look just like little trees. Nifty for a holiday veggie tray. Al explained that Romanesco has been grown for centuries in Italy, but this bunch came locally from a farm in Clyde. So not only was I going to try something new, I was buying locally grown food. Even though Al shared a few ways to prepare this new vegetable, I opted for the easiest: I ate it raw. And let me tell you , it’s yummy. Sweeter than cauliflower with a nicer texture. And while we were talking, Al mentioned making greens and beans. To be honest, I don’t know that I’ve ever had greens and beans, and I know I’ve never used a cannellini bean. So he told me how to make greens and beans, and viola. Dinner tonight is meatloaf with baked potatoes, leftover acorn squash, and greens and beans. I enjoyed it all. In fact, I’d venture to say it was one of my favorite meals in recent memory. Not so sure about Cassie and David. Cassie doesn’t love meat and David doesn’t like vegetables. Bummer for them, eh? I was at a local natural foods/organic store today because I needed cheese puffs. I’ve been eating cheese puffs for the past few days, in fact have gone through two bags of the flouresent orange delights. Don’t ask me why I gave in and bought them to begin with; I normally eschew foods with artificial colors and flavors, and this stuff is loaded with both. But I had such a craving that I made a special treat to Wegmans to buy some. And once I started eating them, I couldn’t stop. Of course, the craving for cheese puffs was accompanied by cravings for other crap food – which is probably why I was so cranky last week. So today, I thought I’d head out to the natural food store to see if there was such a thing as organic or natural cheese puffs. And what do you know? There is! Yay for me! While I was there, I got some dried cranberries and an orange (I’m now craving cranberry orange scones), a squash, apples, some turbinado sugar, organic popcorn, beets, potatoes, and some loose tea. Total bill: $14. A little more than Wegmans but better in the long run. Which gave me pause: Last summer I bought most of our food at the public market. This summer, I haven’t been once. And you should know that our public market was named best in the nation. It’s a great place to get locally grown, organic or sustainably farmed food, including meat. So as I wandered the aisles at the natural food store today I thought, Gee, I really should come here more often. Then I remembered why I don’t: I don’t know what half this stuff on the shelves is. Quinoa? Bulgar wheat? Couscous (not in a box already mixed with seasoning)? Basmati rice? A bazillion different kinds of flour? Seriously, my cooking skills are limited to the basics: instant rice, flour in a bag, stuff like that. I asked one of the store employees if they had an recipe cards or did cooking classes for people interested in exploring new foods. She kind of looked at me like I was an idiot and suggested I go online to a recipe website. I wouldn’t begin to know what to look for. The idea of going vegetarian boggles my mind. I wouldn’t know what to eat. Fortunately, I’ve been able to find organic or local alternatives to most things I know how to cook, even though I’d like to experiment with some new stuff. Tonight, I’m roasting pork tenderloin (not organic, but from Palmers) stuffed with apples (organic). I’m going to roast an acorn squash (organic) and some beets (organic) and make David potatoes (organic, locally grown). And for a late night snack: organic cheese puffs. I may not know much about grains. But cheese puffs? Now there’s something I can sink my teeth into.